This term I have been trialling a little digital storytelling, using a green screen. I had read Digital Storytelling in the Classroom by Jason Ohler and also read and viewed some of his work on his website. Firstly we explored planning and writing a story using Jason Ohler's idea for story planning, using a visual portrait of a story. Students then drafted their story, edited it and then chose pictures from flickrcc, gathering attributions as they went, or drew their own background drawings. They then read their story in front of a green screen while a classmate filmed it. We just did not have the time for students to 'tell' their story, reading was an option that allowed us to move through to some completion. However at another time we might go for this option. Students are still in the process of gathering pictures, filming and editing. We only have the one computer to edit on, using Adobe Premier Elements 10. This is their first time using this software, so once one student has finished editing they guide the next one through it. It will be next term before we finish, but already with one student completely finished, and a few more almost so, I think we will one day reach the end of the experience. At one stage I thought I was biting off more than we could chew, however in a few weeks we should be able to reflect on it and see what we might do another time. Here Daniel - Year 7 reads his story. And Teegan - Year 8 shares hers. Today the first set of data relating to National Standards has been published by New Zealand newspapers. A newspaper cries, "What teachers didn't want you to know." Really? All I believe that can be stated from this particular set of data is - this set of data is unreliable and not valid. How can it be? There are hundreds of schools and thousands of teachers who have all made OTJ's ( overall teacher judgements) all according to their own opinion. Nothing is moderated. How can I know that one school's set of data stacks up against another? Simply, I can't. In our local area, schools collected PAT testing and National Standards levelling from the cluster schools. When we saw the collated data, what we noted as a staff was that with the PAT testing which has some reliability and validity, we were sitting in the top third of schools and yet when we looked at the National Standards data, we were in the bottom third! All you can say is, something odd there. Sure PAT testing is only one indicator, but surely there should be some correlation. A number of thoughts cross my mind. We decided to be conservative, we looked at the national standards and cringed. I wasn't sure actually if I personally would meet them at a Year 8 level! We had heard that if you were one year below your level you were below and one year above then you were above. If you were more than that then you were well below. So we were conservative and we included all students, even those who really, truly and honestly have little chance of ever being at the standard for a number of reasons. I do believe in letting parents know when their child is struggling. 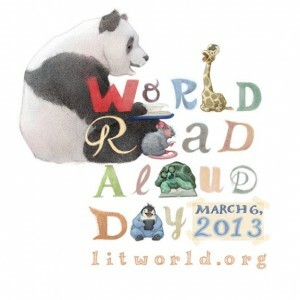 A number of years ago I sat a parent down and told her gently but firmly her child really couldn't read! Year 8! She burst into tears and said "Oh darling, how can this be, no one has ever told me!". Later when I eyeballed my colleagues they rolled their eyes and said, "We told her, every year." Be this as it may, Mum didn't hear the message. She did this time however and came back a second time with a friend so that she could work through the shock. The upshot was, "Darling, with 35 students in your class, how can you teach my child, I am going to send him to a private school." And so she did! Every teacher I know works really hard and with skill to raise the achievement in their class. When we can't we can call on the Resource Teacher of Literacy. Yes there is ONE in our area for a large number of schools. I have had the pleasure of her presence in my classroom a number of times now as she worked with students generally with some form of dyslexia or other. She is a marvel and does great work. I have learned so much from her. Yet there is only ONE for a large area. She has a waiting list. That brings me naturally to where is the government in all this? Well absent actually! If they were really wanting to raise standards they would commit money where it counts. One place where it counts is having more Resource Teachers of Literacy. I believe we need the equivalent in Mathematics as well. I am a skilled teacher and I do make a difference to my students. However at times I need more than me. Actually I am not a teacher superwoman. I need a RTLit at times, and the Maths equivalent. I need teacher aides at times. With all that also, lets be honest here, while all students should make progress, not all are ever going to make the standard. They either need more years and they will, or because of disabilities they won't ever. We are coming to that time of year when we will be making OTJ's again. I am deciding I will be less conservative, I think my colleagues will too. I found when I attended a local E-Attle day on writing that they exemplars they used were very useful for levelling and I think our writing will be better understood as we make our OTJ's. I would have to add to that I wish TKI or whoever provides the models there, would deal with a real range of examples, not some pristine model that looks... well ... pristine. 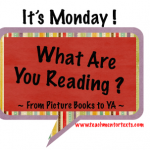 t is Monday and again I am joining in the meme over at Mentor Texts. 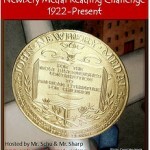 Newbery winner - Island of the Blue Dophins by Scott O'Dell. I didn't really expect to 'like' this one but I did. There is something about a book that explores resilience and making it against the odds in the natural environment. 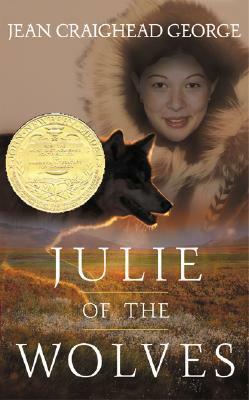 Another Newbery winner - Julie of the Wolves by Jean Craighead George. Well I didn't really expect o get wrapped up in this one either, but I did. Again it explored resilience and making it in an environment with no other humans close. Both books had that feel of Hatchet by Gary Paulson. I read this book in a day and I think sometime in the future I would like to read the follow up to this book. While I am not the sort to want to face into the situations these two characters faced - believe me I wouldn't survive- however they both challenged me to be more resilient in the wild frontiers of my own life! I also read Chapter 2 of 10 Things Every Writer Needs to Know which was about using mentor texts. This chapter gave me more insight into using mentor texts and the way the author shared how he - Jeff Anderson - uses them has made me realise I need to do more of this, it will be a goal for my new school year in 2013. I'm from New Zealand remember, our school year closes in December. What might I read this coming week, well I'm waiting on books, so I think I will read what I have sitting here: Let The Circle Be Unbroken by Mildred D. Taylor, the sequel to Roll of Thunder, Hear My Cry. The Scopio Races by Maggie Stievater has just arrived from Scholastic book club, so may also get into that. This past couple of weeks I didn't get a lot of reading done for children's literature, slowed down as term has gone into busy mode. 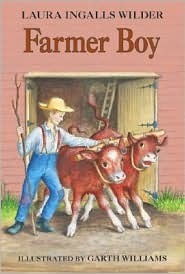 Farmer Boy by the same author. 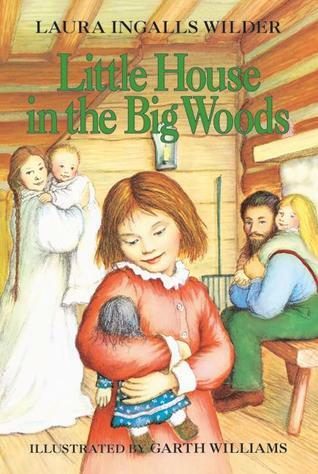 I know most people read these books when they were children, however they weren't in any libraries near me, so I didn't get to read them. What hard working people these pioneers were and what an insight into life in those times. It didn't seem to do them any harm because I notice that both Laura and Almanzo lived to a very old age. 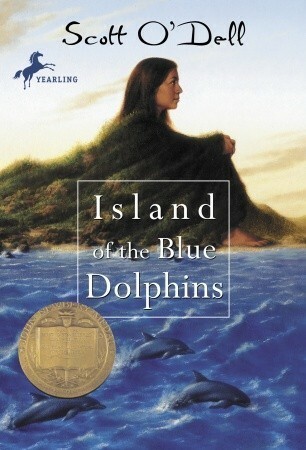 Next up for reading is Island of the Blue Dolphins by Scott O'Dell as part of the Newbery challenge, perhaps Julie of the Wolves as well, will have to see how I go! For professional reading I am reading 10 Things Every Writing Needs to Know by Jeff Anderson. Only read Chapter 1 so far and that was very good. Lost - One Red Pen. Once upon a time... I was bored out of my brain by the tedious writing students in my classroom engaged in. I thought I had to read every word they wrote - because that's what good teachers did. Right? Wrong! Once upon a time... while I was reading every piece of draft writing I sat there with a red pen and proofed all their writing for them - again because I thought that's what good teachers did. Ouch! Of course in some classrooms you may still see this long line of students all waiting to meet with their teacher, waiting for the red pen to do the work for them. Over time my approach to writing has changed, and mainly I think it is with the advent of technology that this has come about. Firstly because of the tools it provides for students to use and secondly because of the professional development available online through places like Twitter and teachers sharing their ideas in their blogs or websites. Today I came across this idea on @dogtrax's blog of the six word sentence summer memoirs he did with his class- love it. I am filing that idea away to use, probably at the start of next year. I am the kind of person who often buys books to glean more ideas on writing. I buy too many and should really buy less and read more in depth the books I do buy - but that's another story! 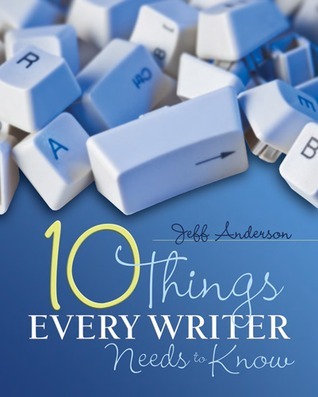 At the moment I am reading 10 Things Every Writer Needs to Know by Jeff Anderson. I found out about this book on Twitter and Goodreads and so of course I wanted to read it! I have read the first chapter now and really liked it. For a start I love all the little quotes that pepper the margins. Jeff Anderson's ideas in the first chapter actually are quotable as well. His first chapter is titled Motion. That's because every writer needs to get going. On Friday I stopped beside a student who was looking somewhat distressed about what he might write during Daily Five. I chatted with him but we didn't come up with any acceptable ideas - to him. Eventually I said to him for today how about making two lists: one of all the things you love and one of all the things you hate. An idea I had used once before as a writer's notebook prompt in 2011, an idea gleaned from Lori Jamison Rog in her book, Marvellous Mini Lessons for Teaching Intermediate Writing, Grades 4-6. I got a smile and the eyes began to show life and I knew by next week we would have some things he might develop as a writing piece. Jeff Anderson shares some ideas for power writing and I look forward to trying them out with my class. He says - "If we start spilling words on the page or computer screen, magically, writing gets completed. We have only to move our thoughts from our mind to the page". (Page 9) He offers power writing as one way to facilitate that sense of freedom with words. I want to have my students excited and happy to write, not seeing it as an exercise or chore. As Jeff Anderson states writing has the power to explore our thinking and it can enable us to be heard - truly heard. The writer needs to believe that what they have to say is unique and valuable and that as we explore, make mistakes, develop our skills we are building writing muscle. I think that's partly why I no longer mark or even read every piece of writing of every student in my class. However what I do read, firstly I respond to the message. I want to honour what they have written and respond to that. Oddly enough I rarely get to read boring writing these days. If a student is taking a piece of writing through to publishing I expect them to have thought about it first themselves, discussed it with a writing buddy and then come to share it with me. I like to sit with my eyes closed and listen as they read it to me. The red pen is gone! We then discuss the writing and decide what might happen next with the piece. With many of my students they do their own editing and proofing. There are some who I need to sit down with and guide them through the changes they need to make if they want to make it understandable for their reader. In this first chapter the author points out the importance of positive feedback, it is so easy to put a writer off. I often think of a toddler beginning to walk, we encourage and applaud and smile at every effort. So why not when they are learning to write as well? He gives 7 tips for providing feedback and one I particularly like is, "Model what you want them to do as writers, rather than correcting what you don't. For learning, positive trumps negative. Period." In other words don't put them off the joy of writing. Sitting down and starting does mean you are highly likely to end with a piece of writing! As Jeff Anderson says at the end of this chapter, "And sometimes all we have to do is begin and the words keep coming." I can agree with that! I have a post to publish. Writing and E-Asttle Cluster Day. Yesterday I attended our local cluster day on E-asttle writing. ( E-asttle is a web site which can be used by New Zealand schools to assist in the assessment of Reading, Writing and Maths. Once data is fed in, reports can be generated and next learning steps can be planned.) For me it was a time to reflect on writing in my classroom. That reflection of course is always ongoing - most of us are always asking how we can teach writing better, motivate our students to write and really enjoy expressing themselves by writing. A month ago I was again at a cluster meeting when the facilitator of our cluster mentioned my class blog to some other teachers. They explored the idea and asked - did I set up criteria for writing and then respond to the writing with feedback? The facilitator answered for me, saying she thought that rather - I responded to the message of the writer. Meanwhile I had gone into my own little world! Firstly I was noticing that I was feeling somewhat guilty because I don't set criteria - but then I realised that in fact I found it slightly abhorrent to do so. If that pressed the buttons for some teachers great - but that's not me. I like my students to endeavour to express themselves, to develop their thinking and reflection, to try things out or to share something important to them. Or to write for whatever purpose that they see fit - within reason! It's why I allow my students - mostly boys - to share their exploits in gaming. While I don't particularly enjoy their posts and I admit just ignore them sometimes, I allow them because that is their interest and world. I do believe in balance and I do expect other posts as well. That can be an uphill battle! During the E-asttle day I overheard a very sincere teacher sharing with some others the programme she was teaching and using in her school that she had brought back from Britain. I am sure it works because she makes it work; however the little that I heard did not appeal to me. I know I only overheard a snippet so I really shouldn't be expounding on it - but I am! The part I overheard was about a checklist that could be ticked when a student included conjuctions, adverbs etc in their writing. That felt too mechanical to me, I know it's probably a small piece of the whole, but no I am not a ticker of boxes! If you know about six traits you will know that missing from that list is Voice and that Punctuation and Spelling are part of the plus one part. I like to teach writing using the six traits - it makes sense for me, and my teaching of writing has improved since I started using it. I can also say that I believe it has made a difference to the students' writing. All in all the day was useful as we explored pieces of writing and discussed in groups various rubric scores for each section of each piece of writing. We had quite clear guides and exemplars at various levels. It has always irked me that this scoring of writing to quite an extent is not an exact science. Yet we have the audacity to say that we have national standards around writing - that only depend on each teacher's knowledge of writing and their opinion of what level this particular piece of writing is at. It still irks me - however I am also grateful that we don't have more rigid testing of writing, as they do in some other countries. As the day wore on, it did become apparent that there was some common agreement and that while there were still differences of opinion, we weren't differing by large amounts. It was good to know that if we got it somewhat 'wrong' we would still be reasonably close! I also liked the message that if you were hopping between one number and the next, err on the side of the student, and give the higher mark. Today I was talking about something else with my Principal and I commented that I wasn't very good at 'playing the game'. However, I have to admit that now with national standards sitting there in judgement, it's definitely better to mark up! Just saying! It probably still doesn't make me a game player, but just a little toe dipping! I want my students to be able to express themselves well by writing. The truth is I have some excellent writers in my room and some..... still finding their feet. The range is wide - a challenge to me. Hence I am dipping into the expertise of those wiser than me and I am off to read "10 Things Every Writer Needs to Know" by Jeff Anderson. He asks the question - 'What makes writing work?' And so I am off again on the journey of teaching and learning to write - because the truth is I am a writer learning to write too.